Roper Appliances have been serving the public since 1874. Their company from the day they started has been all about quality. In 1987, Roper Appliances became a part of the world known company Whirlpool Corporation. Millions of homes in the United States have Whirlpool products. The Roper brand continues to bring their customers the very best ion performance and quality washing machines as well as other products. One of their washers is the Roper 3.2 Cu Ft Super Capacity Top Load Washer. While other companies are coming out the front load washer, the traditional top load washer is still here and homeowners prefer the top load rather than the front load. 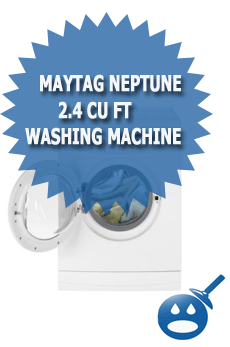 Let’s take a look at what the Roper 3.2 Cu Ft Super Capacity Top Load Washer can offer you. 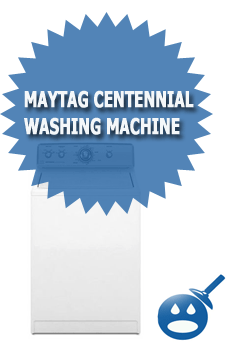 This washer is compact in size, measuring in at 42-1/2″ in height x 25-1/2″ in depth and 27″ in width. The washer has a capacity of 3.2 Cubic Feet. 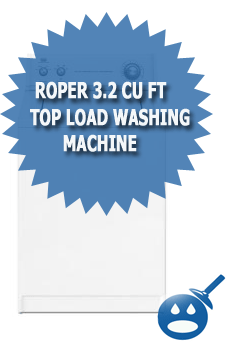 There are 8 different wash cycles in the Roper 3.2 Cu Ft Super Capacity Top Load Washer. This washer also includes 4 different wash temperature settings and 2 different wash speeds. The Roper 3.2 Cubic Foot Washer is equipped with sound reduction construction. Most washers make a lot of noise but the Roper washer doesn’t make as much noise and the older washers do. This washer has a permanent press cycle and a delicate cycle. Though the Roper is not the most technologically advanced washer but it gets the job done with some really great features. The washer basin is made from a Spreckle Porcelain material. It doesn’t have a Wool Cycle or a Pre-Wash Cycle. In fact the Roper 3.2 Cu Ft Super Capacity Top Load Washer doesn’t have a Cotton Cycle, Hand washable cycle or a Knit Cycle. This machine has all manual controls that make setting accurate every time. According to the Energy Guide, the Energy Guide is the yellow stick that comes on the back of all appliances. The Energy Guide of the Roper 3.2 Cu Ft Super Capacity Top Load Washer says that if purchase this washer and you have an electric water heater, the estimated cost of running this washer would be about $34 a year. If you have a natural gas heater then the estimated operating cost of this washer would be $ 22 a year. The washer uses about 316 kWh on a yearly basis. These numbers are estimates, they can change depending on what your average utility costs are. This washing machine is energy efficient and high performance. It is made of a very dependable material so that it will last you many great years to come. There are no drives or pulleys in the motor so you won’t have to worry about any belts snapping. The Roper 3.2 Cu Ft Super Capacity Top Load Washer comes with a limited one year warranty on parts and a limited warranty on labor. Make sure that you read the warranty information so you will know what the warranty covers and what it doesn’t. The benefits of using the Roper 3.2 Cu Ft is that it is reliable and it is requires very little maintenance. The machine will last you many years to come.The Roper 3.2 Cu Ft Super Capacity Top Load Washer is a great top load washing machine that required very little maintenance and that cab actually help save you money rather than cost you money. Roper is a subsidiary of the famous Whirlpool Corporation. Whirlpool stands behind everything they produce and everything they sell. The warranty information is from Roper but Roper is a part of Whirlpool so you know that the washer has to be good quality. When you are shopping for a washing machine, it is best to shop around first. Figure out what style of washing machine you are looking and what you are looking to spend. 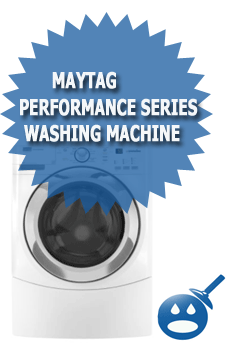 Then do some comparative shopping and see what washer is best suited for your needs. 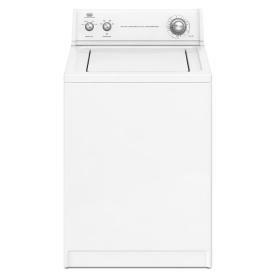 The Roper 3.2 Cu Ft Super Capacity Top Load Washer is very affordable, it costs about $349.00. If you shop around you can find a better price. You can find the washer at your local Lowe’s Home Improvement store.